In this series we will be looking at some of the superheroes within the team. This week we meet EMC’s Peter Jones. I joined the army at 16 and worked for five years in the military serving tours around the world including amidst the jungles of Belize. While on active duty, I filled in the application form to join the fire service, which had an apology note attached explaining that I had filled it in from the middle of a Central American jungle. A month after leaving the army I joined the West Midlands Fire Service, which inadvertently led me into the medical profession. I joined the service at 21 and was a firefighter for 14 years experiencing a variety of incidents, but I was inspired by a training officer to pursue an advanced medical training course in Stoke. I paid for all of the training myself and became an Emergency Medical Technician. I still wasn’t content with that so attended more training to improve my skills. My desire to learn took me to Denmark for training, Sarajevo for work and ultimately becoming a paramedic with the West Midlands Fire Service. 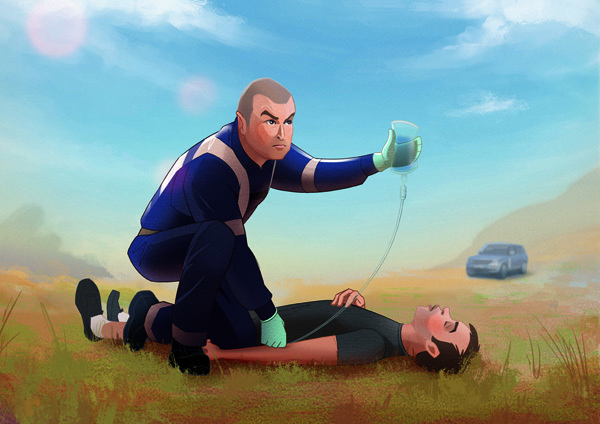 I was still an operational fireman but also a paramedic in my spare time. 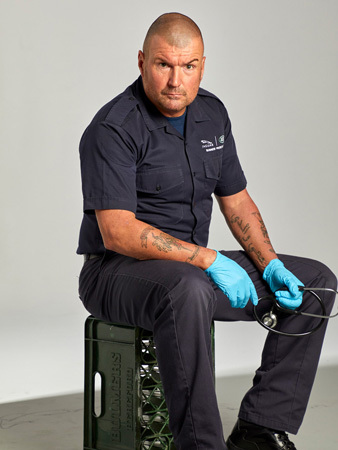 I left the fire service in 2004 and created my own company as a paramedic teaching first aid. I also taught for a company called Pilgrims and went to Kenya to teach medical and survival courses to reporters who were going overseas. I followed that by heading out to Baghdad, Iraq, to be the Fire and Safety Officer of a huge electoral building during the elections after the war. I stayed in Iraq for four years as an armed bodyguard, before transferring to Kabul and the Helmand Province in Afghanistan, for two years. It was then, I saw a position as a prevention officer at the Engine Manufacturing Centre (EMC) to deal with fire and medical issues, which sounded really interesting. It seemed absolutely perfect and I joined the Corporate Security & Business Protection (CSBP) core team in April 2017 and passed all of the training. 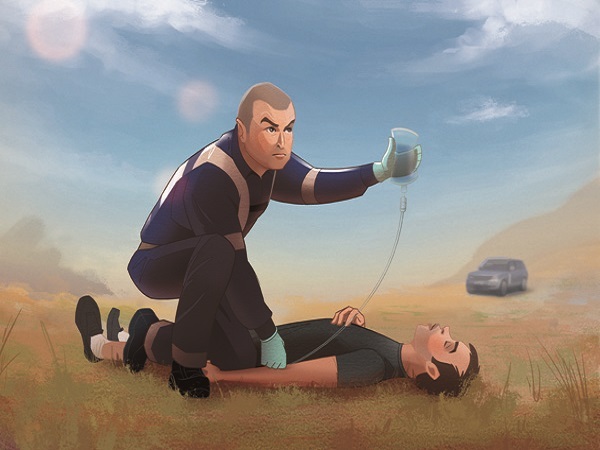 I was the first student to pass the First Response Emergency Care course to level 4 and I am now the Continuing Professional Development (CPD) lead for First Response Emergency Care at Jaguar Land Rover. I am responsible for ensuring all colleagues’ medical qualifications are up-to-date and that we deliver an outstanding level of clinical care to our employees. I have also designed a course for the emergency call controllers on how to dispatch effectively for medical injuries and conditions. The minute anybody sets foot onto site the level of care they have is really quite something. We are focused on protecting the future of Jaguar Land Rover and that goes beyond security. At the EMC, we have medically capable and an excellently trained CSBP team, and we go above and beyond to look after employees at all times. On the shop floor we have first aiders for initial calls, but the CSBP team can respond anywhere on site within an average of four minutes. 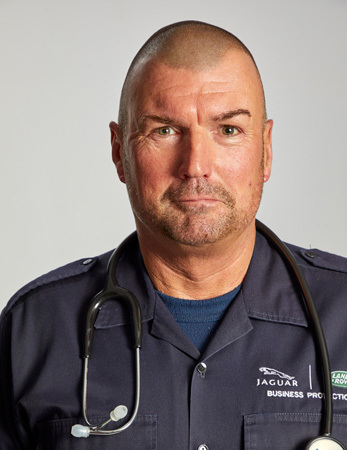 I would have joined years ago if I’d known that Jaguar Land Rover took its duty of care for people so seriously, after all our people are our greatest asset. I still reflect on my early years in the army. It was about discipline and respect. That’s what shaped me into the person I am today. Taking pride in what you do, doing it well, but also being honest and frank with people. I’m always determined to do the best job I can. Training hard means you can fight easy.